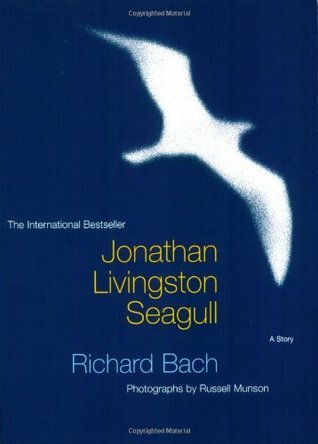 Richard Bach’s Jonathan Livingston Seagull is a story about following your dreams, told through the eyes of an extraordinary seagull. Jonathan wants nothing more than to perfect the art of flying, something that goes against the norm of his flock, which is simply to eat. Jonathan’s stubbornness results in his expulsion from his community. This does not faze him; instead it propels him to further his quest in soaring as high as his feathered body will allow. It is then that Jonathan meets others seagulls like him who will guide him toward what it means to be truly free. Jonathan Livingston Seagull came into my life the summer after I graduated from college. The thing about having just graduated is you are a mass of idealistic notions, wanting nothing more than to create and spread goodness in your society. But in the real world, you realize you have to decide pragmatically and some of these decisions will drive you in the opposite direction of your goals. This was something I had not anticipated. Maybe I was too sheltered or too ignorant. The point is I was lost. This book reminded me, however, that it is important to always keep your ideals in sight. The strength of your belief in your ideals will push you to chase your dreams and see them to fruition, no matter how long it takes.